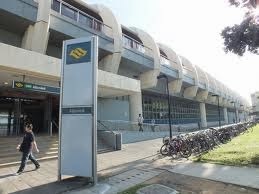 Aljunied MRT is located along Aljunied Road which stretches all the way from Macpherson Road to Geylang Road. Aljunied MRT station is now the prominent landmark on Aljunied Road. Nearest MRT stations along Aljunied Road are Aljunied MRT and Dakota MRT. Amenities nearby includes the famous Katong Shopping Arcade, City Plaza, Geylang Stadium and Lilliput-Playground @ Big Splash. Several churches and temples can also be found at the area such as Geylang Chinese Methodist Church, Yu Hung Temple, Zheng Jue Si Temple and a lot more. Schools at close proximity are Geylang Methodist Primary and Secondary School, Broadrick Secondary School, Dunman High School and Bendeemer Secondary School.